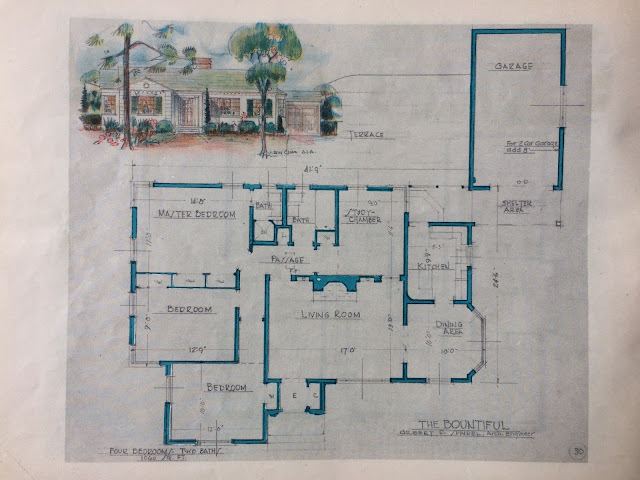 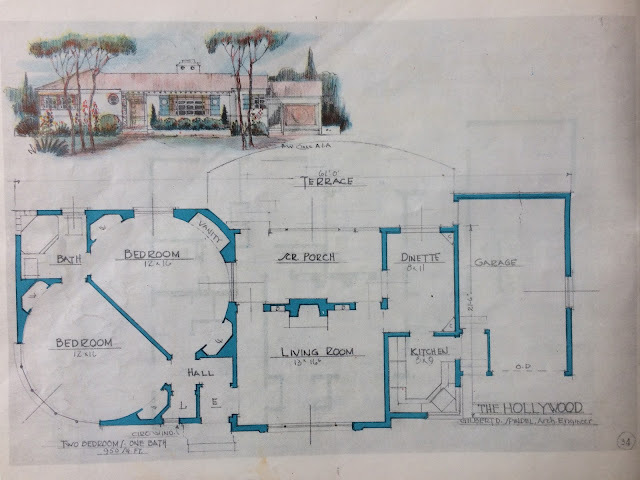 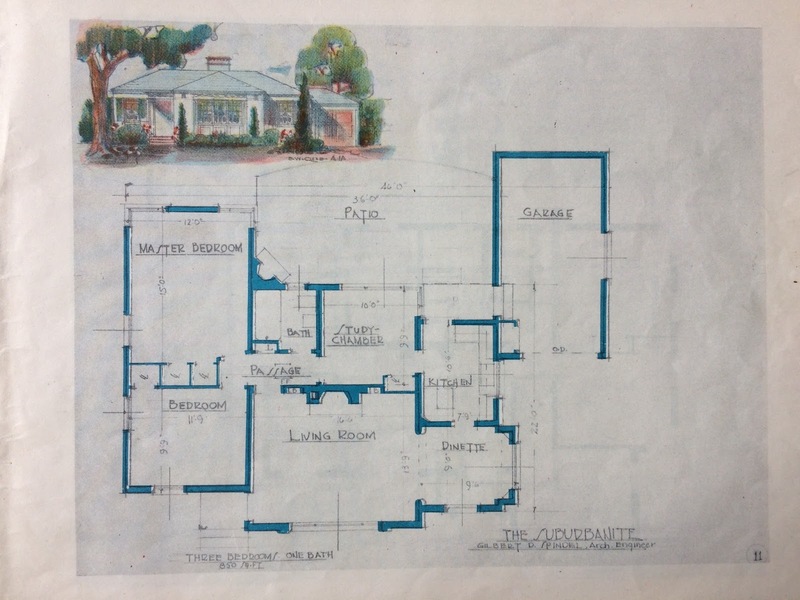 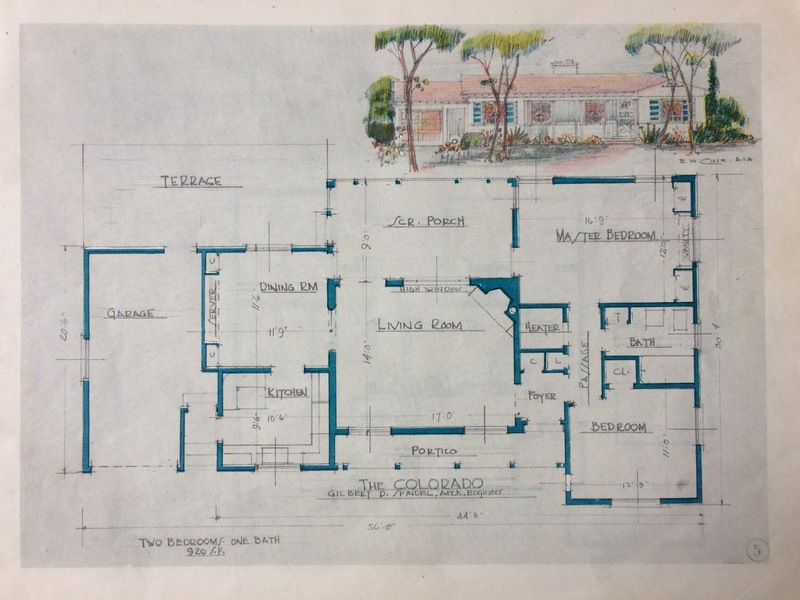 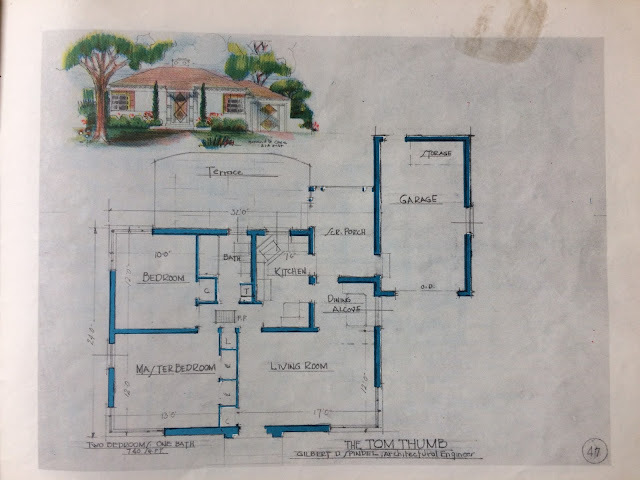 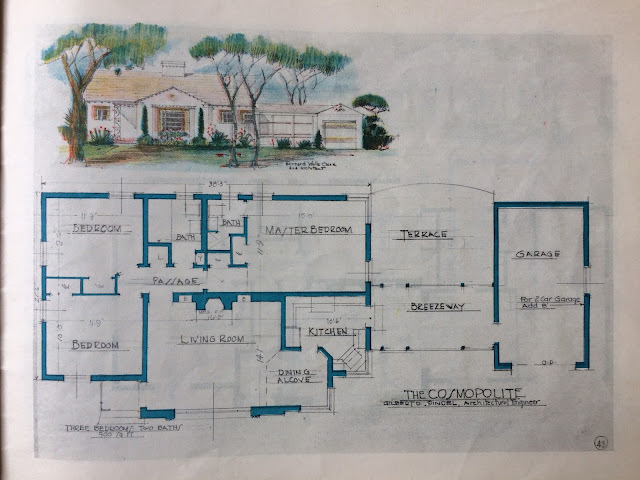 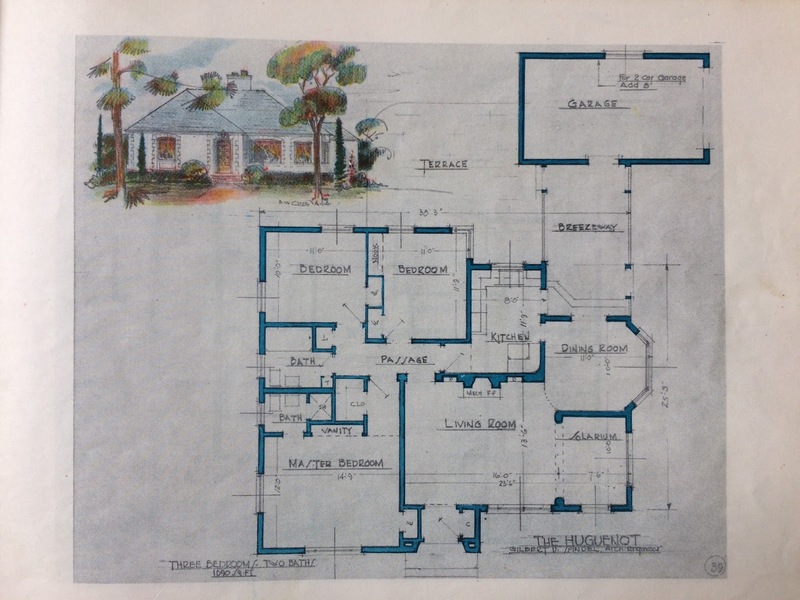 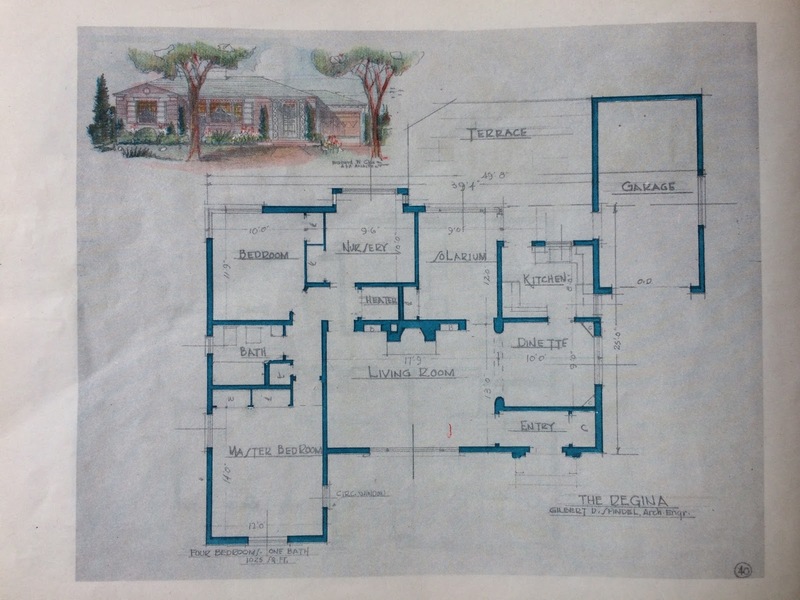 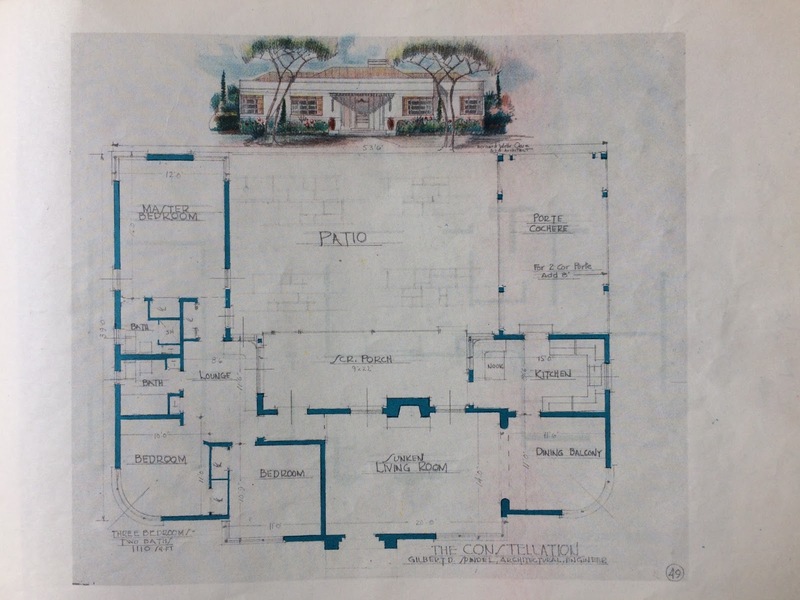 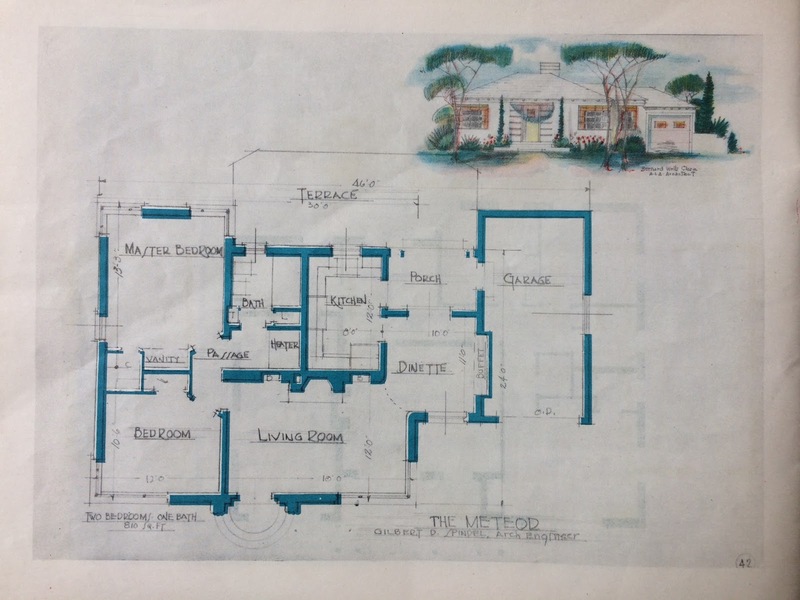 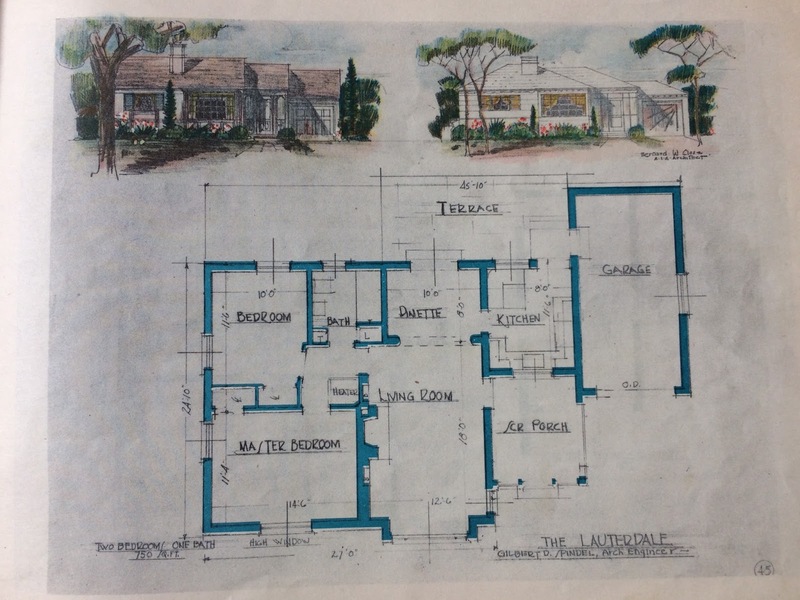 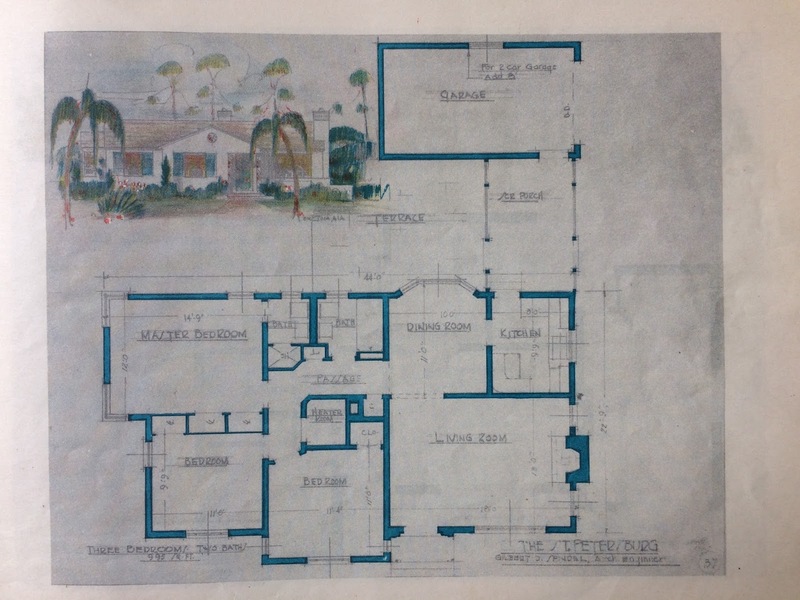 Sometime last year I found a lovely booklet of house plans at my local thrift shop. 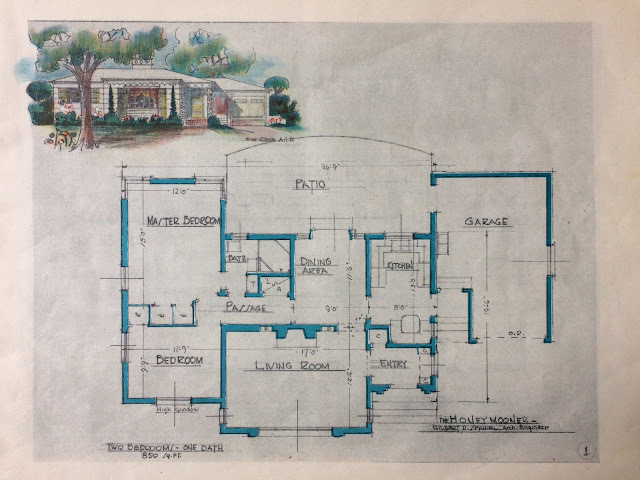 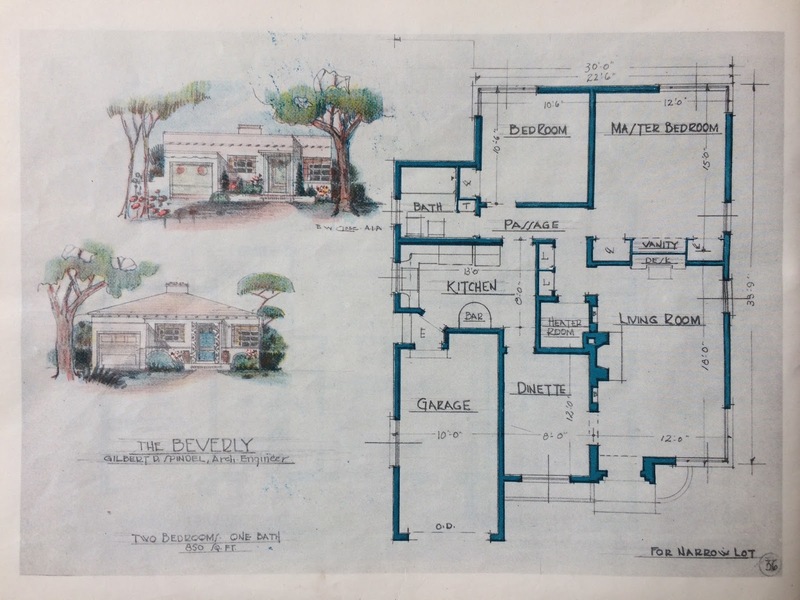 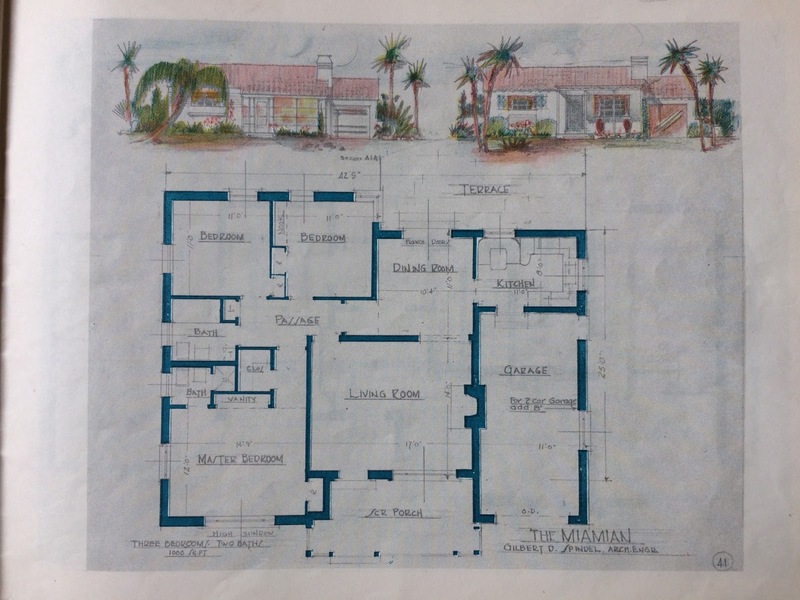 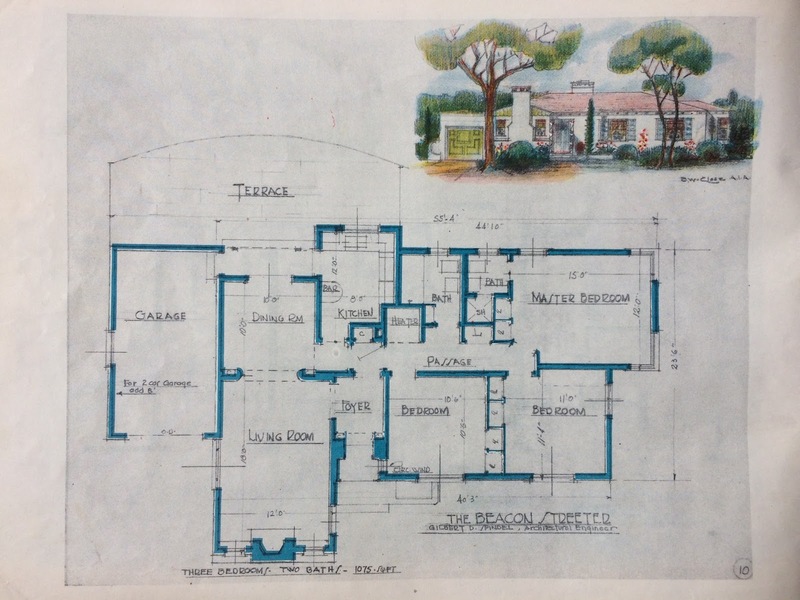 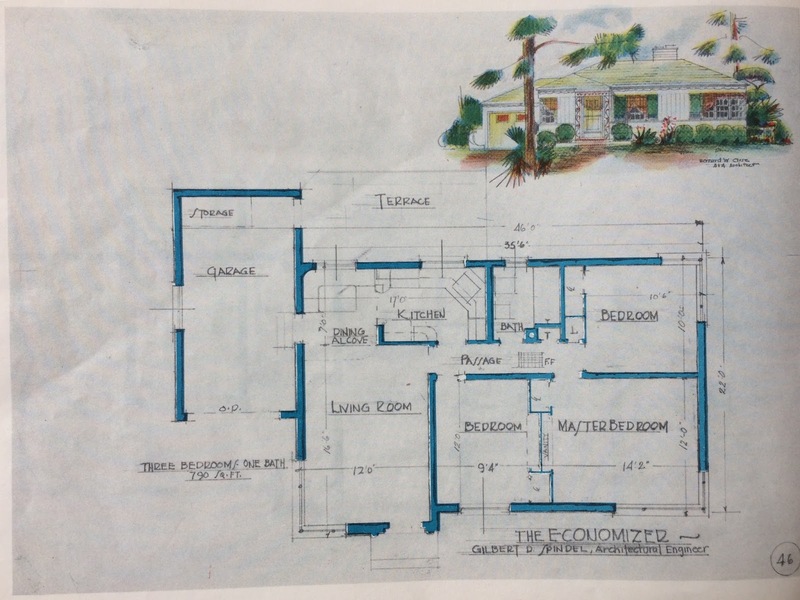 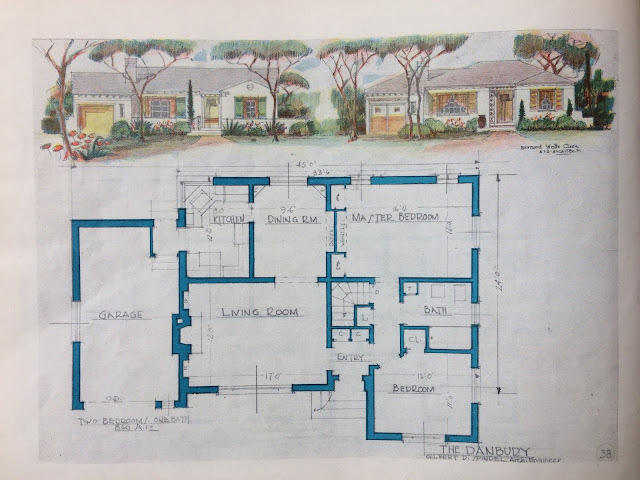 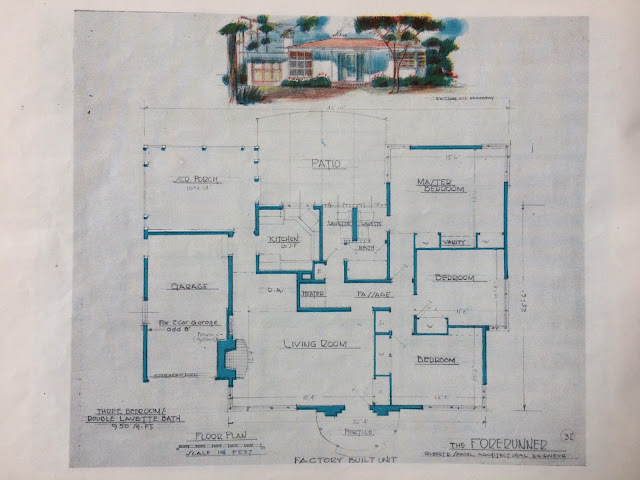 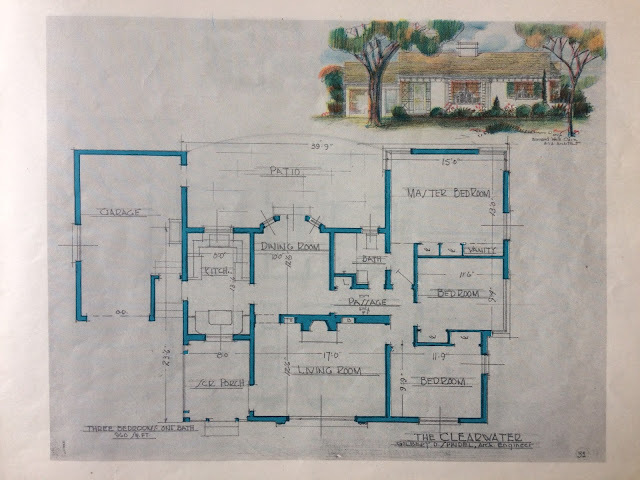 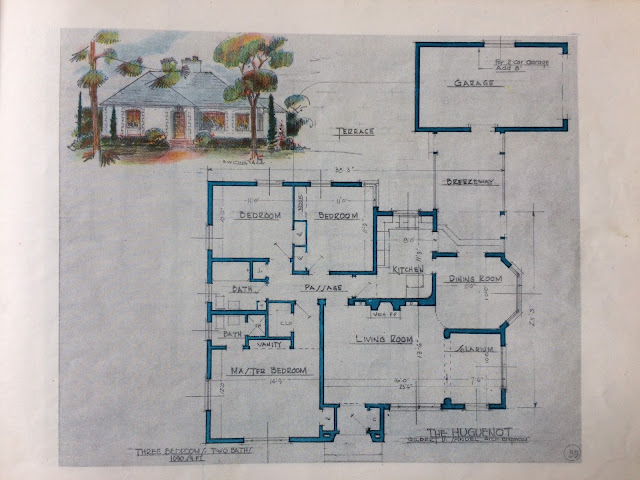 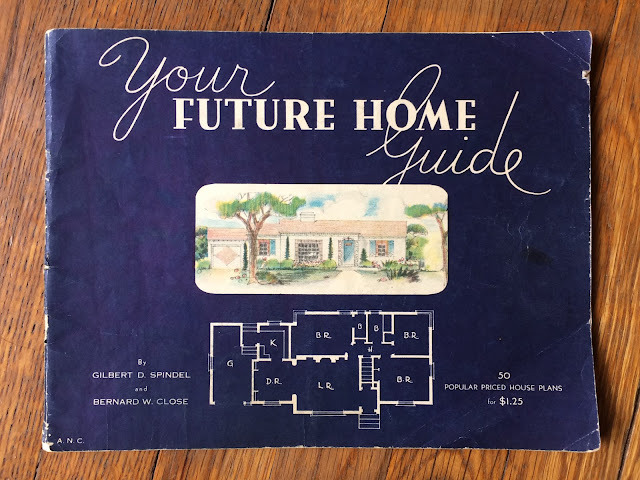 The book was published in 1945, and includes fifty plans for small homes that were designed during a time of frugality and increasing efficiency. 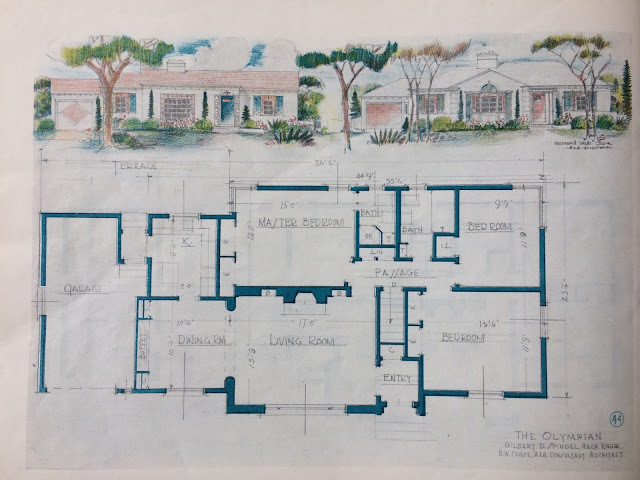 With most designs falling under 1,000 square feet, these homes are half of what modern homes are made of-- but I wonder how many people are truly happier with their oversized homes and oversized mortgages. 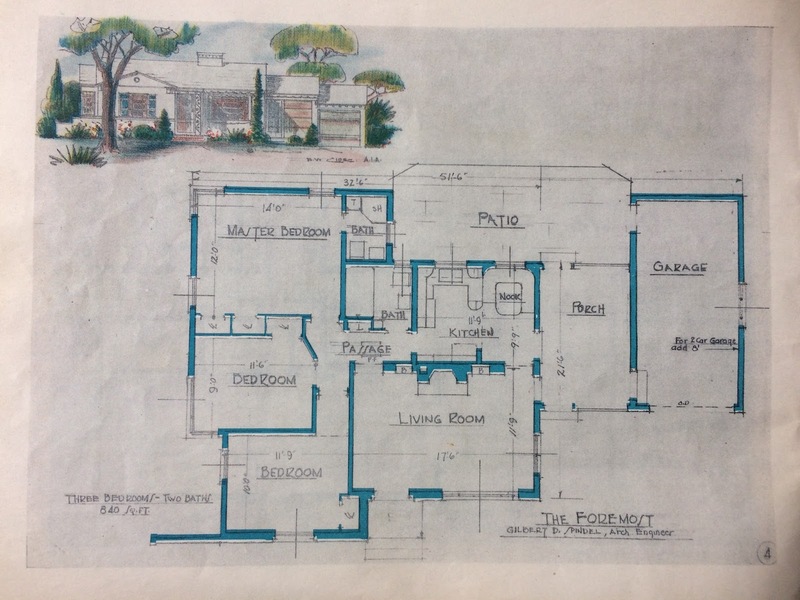 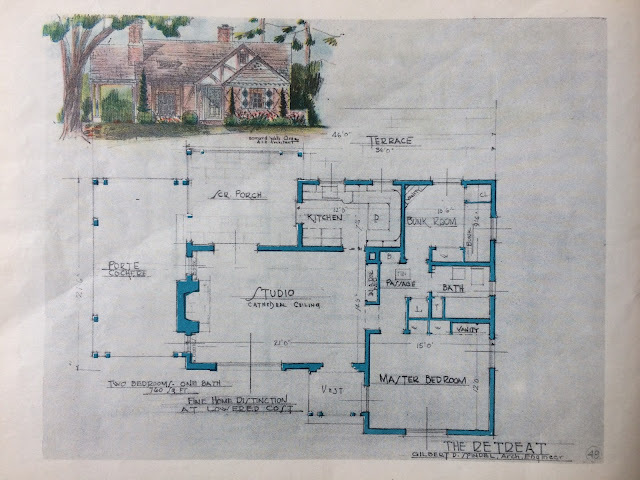 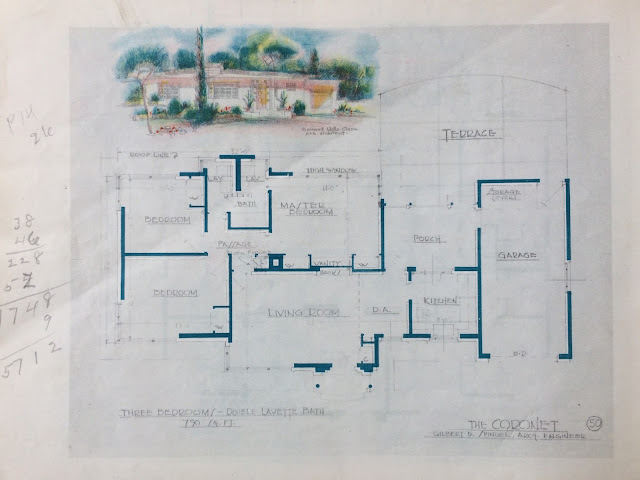 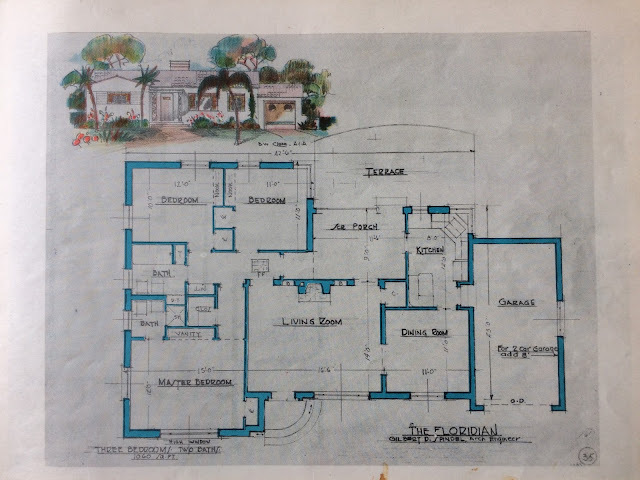 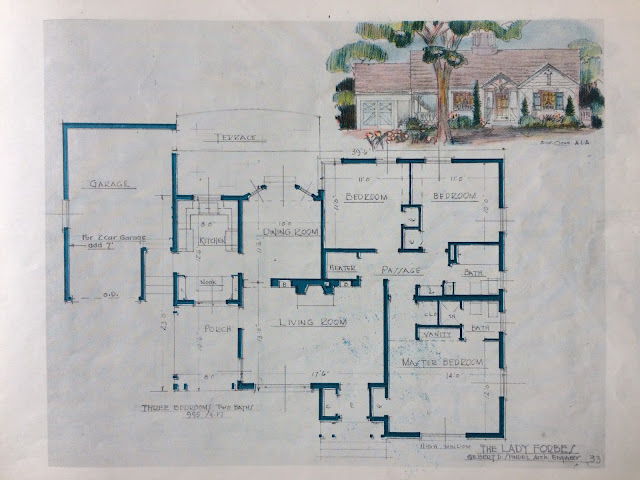 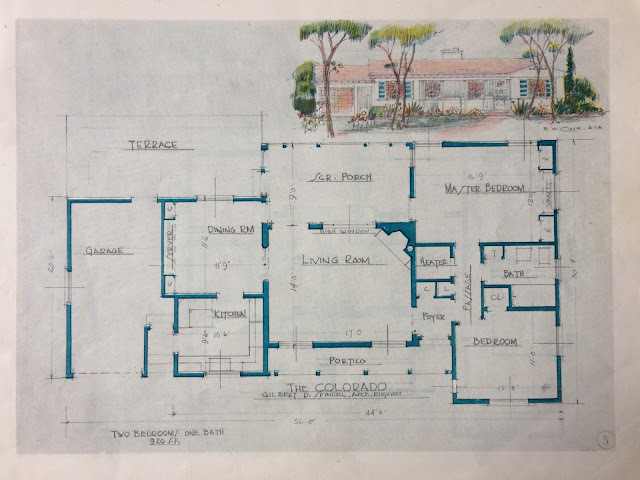 We've been house dreaming for ages, it seems, and if we were to build I'd be keen to pursue a design like one these contained in the old pages: a focus on community areas such as the kitchen and living room, outdoor patios, and smaller bedrooms. 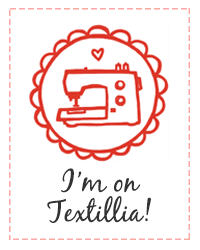 I'd happily trade the garage for a sewing space, and build a small art studio in the back for Steve's endeavors. 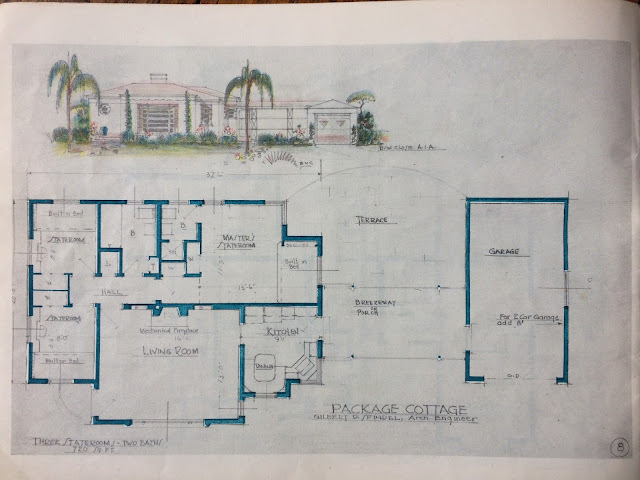 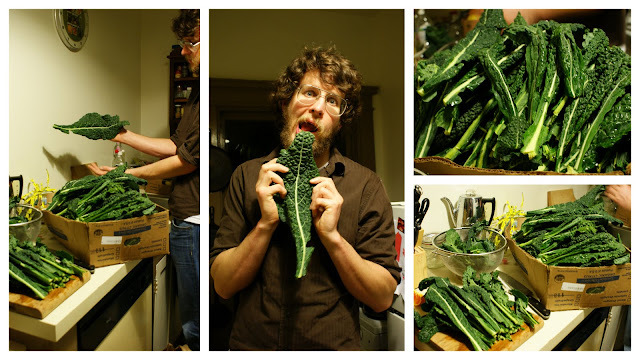 We can all dream, right?